The world might not be ready for as many tech advancements as we are getting, but that isn’t going to stop corporations such as Microsoft and Amazon from at least bringing out what they think are vital changes to our existence moving forward. Cortana is Microsoft’s virtual assistant that was built into the Windows 10 operating system. Her use was off to a bit of a slow start, but that is also to be expected because rarely do people immediately adapt from the way they were taught to do things. We are creatures of habit, as they say. But as of today Cortana now has over 141 million active users who are opting to talk out loud to the virtual assistant instead of typing their way to finding the answers, at least some of the time, after they’ve booted up their computers. 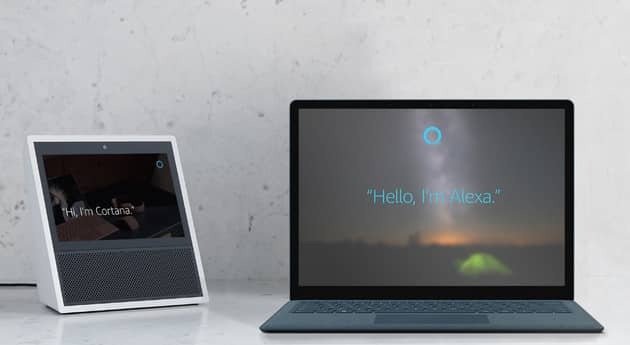 What Cortana is to Microsoft’s Windows operating system Alexa is to Amazon’s virtual personal assistant that was designed to be used around the home. You don’t need a computer to use Amazon’s Alexa: everything can be said directly to her and her own futuristic little box that sits somewhere around your home. 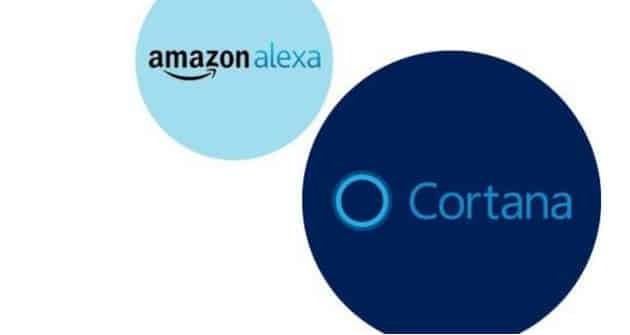 Both Cortana and Alexa have their strengths and weaknesses. You can expect both Microsoft and Amazon to continue to update their virtual personal assistants, but there are also some things that can’t be done unless personal assistants can communicate with one another. That’s where Microsoft’s new partnership with Amazon so you can now use Alexa to reach Cortana, and vice versa comes into play. According to Microsoft’s Satya Nadella, they want their customers to be able to get the most out of their virtual assistants and not just be bound to a single “wall garden.” They also would like developers to have access to the most number of users possible. That’s why they’ve apparently been working with Amazon to bring Cortana and Alexa together: to benefit every user and developer out there. Each of the virtual assistants has a unique following, and those audiences weren’t likely to overlap anytime soon. Microsoft announced from its official web blog that this new integration is now live. It’s available for everyone in the United States today, although if you’re located outside of the US, you’ll need to wait a while longer to use it. Microsoft and Amazon are testing out another version that is suitable for a public preview and with it are hopes that the engineers will continually be able to improve their algorithms to offer a better product. In other words, don’t expect too much magnanimity from these assitants right away, but it should certainly improve in the coming months ahead as engineers get more feedback from its users. Feedback from customers seems to be the run-of-the-mill lately. A big part of what you get with Windows 10 is from customer feedback, and it seems a very successful strategy in an attempt please people by giving them what they want. The Windows Insider program is specifically designed to get people running on test builds so Microsoft can benefit from the feedback that they get from its users. Surprisingly, there are many people out there who jump at the chance to help Microsoft, free of charge, to redefine their operating systems and products for them. And if people’s willingness to help Microsoft is anything to go by here, there should be no reason for lack of interest to continue improving the Alexa and Cortana virtual personal assistant integration, too.